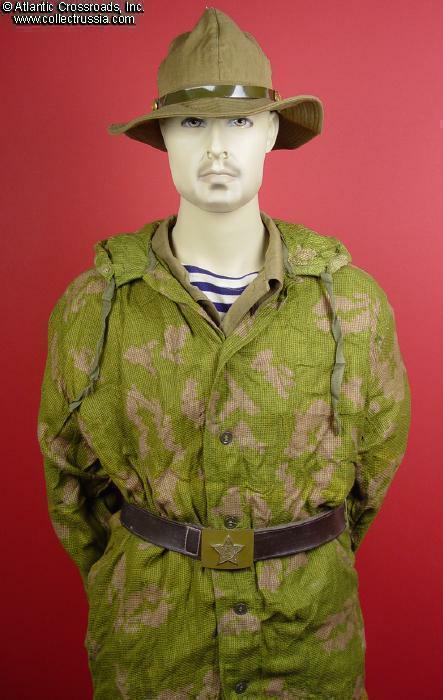 KZS net camouflage suit, dated 1979. 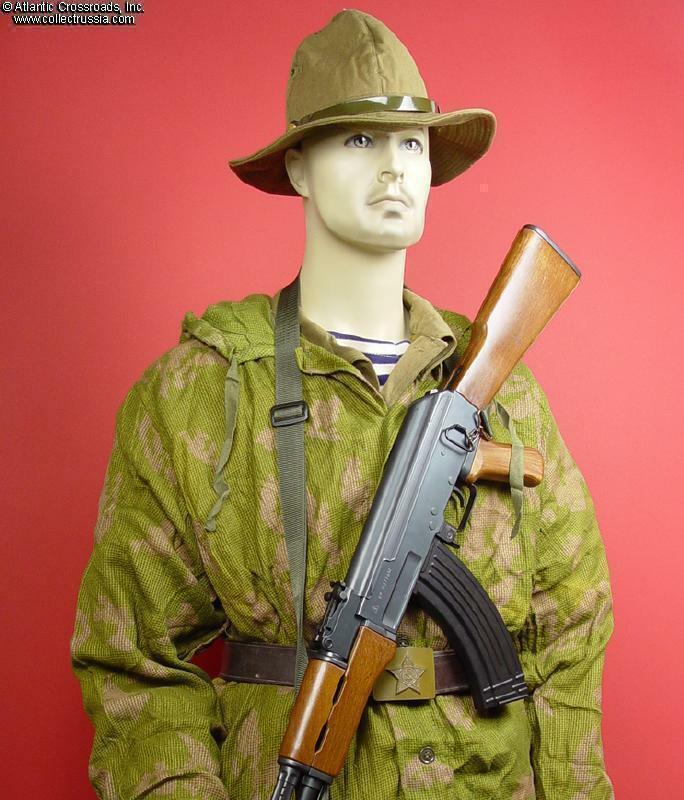 KZS net camouflage suit, dated 1979. 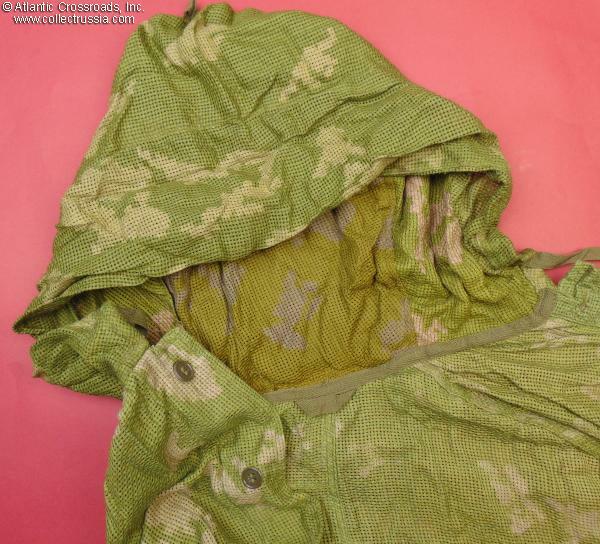 Pants and smock in "burlap" cotton fabric, loosely fitting to wear over regular field uniform. 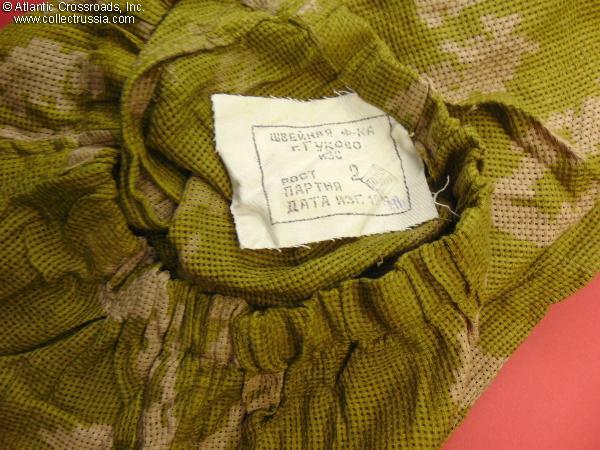 Russian designation "KZS" stands for "kostium zaschitnoi seti" or "camouflage net suit". This is an early set in the early colors (spring green with brownish splothces). Russian length "2" (medium). The sleeves of the smock are extra long to be rolled and secured with the straps (2 on each sleeve) and buttons (inside the sleeve). 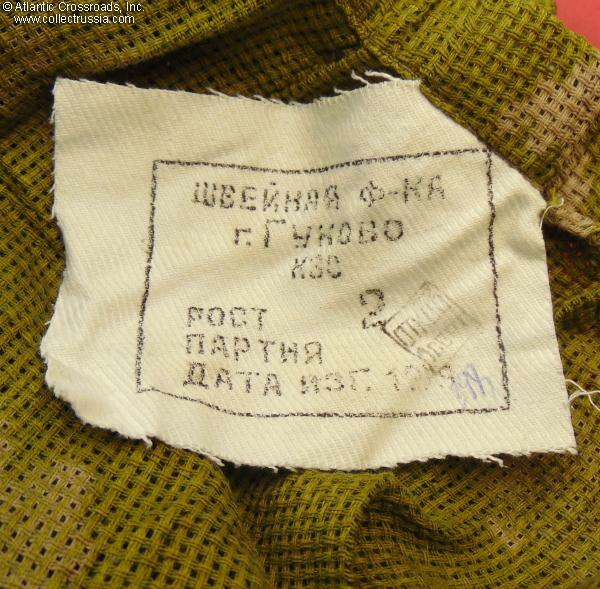 Both the pants and the smock have a manufacturer's label with 1979 date stamp. This early "Afghan War" date much less common, as most of the other surviving examples date to late 1980s through 1991. Colors of the pants and the smock are slightly mismatched, as was often the case. Trousers: about a 36" waist (somewhat larger at maximum stretch of the elastic) 33" inseam. Top is about a 38, 19" across the chest from shoulder seam to shoulder seam at the front, 28" sleeve. Excellent unissued condition. Note, we have several sets in stock, colors and labels may vary slightly from the one shown in the photo. Size and date as described. Also note this item consists of camo jacket and camo pants only. 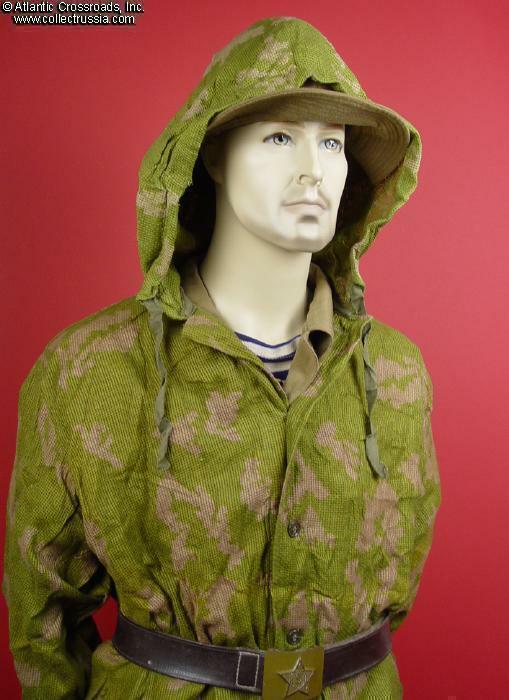 Cap, tunic, T-shirt are not included with this item but are for sale separately elsewhere in this catalog. 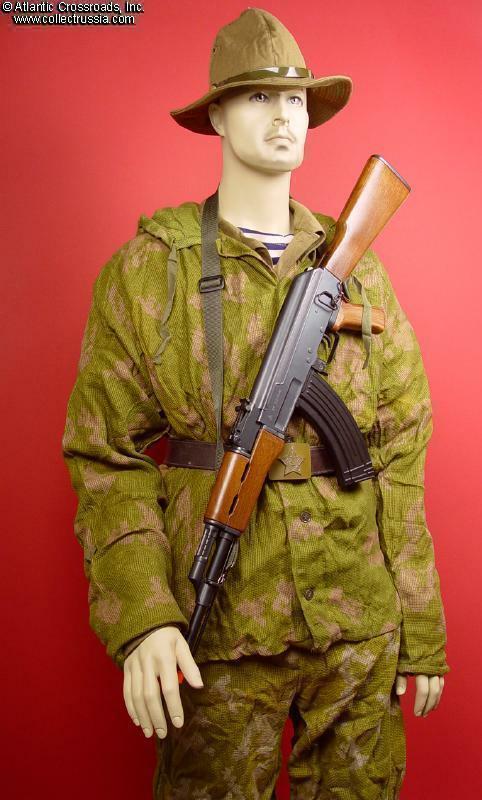 Dummy AK-47 is not for sale.